United Way of Dane County welcomes 34 Loaned Executives working full-time for the 2012 United Way Campaign. Loaned Executives help United Way raise funds to tackle the underlying causes of the issues deemed most critical in the community’s Agenda for Change. These matters include but are not limited to: closing the academic achievement gap, ensuring children are cared for and have fun as they become prepared for school, and ending family homelessness. From August through November, the Loaned Executives will work full-time for United Way. Companies may sponsor the salary for United Way to hire a short-term employee rather than provide one of their own. Other companies that can make the considerably larger commitment of loaning an employee allow a regular employee to be paid full salary and benefits while participating as a Loaned Executive. The program helps build an efficient campaign staff and promotes the development of strong community leaders. It is through these generous contributions that United Way is able to reach the Campaign goal, key to making progress on critical issues identified in our community’s Agenda for Change and creating positive results throughout Dane County.With a record number of Loaned Executives, United Way of Dane County is excited to make an even larger impact on the community. 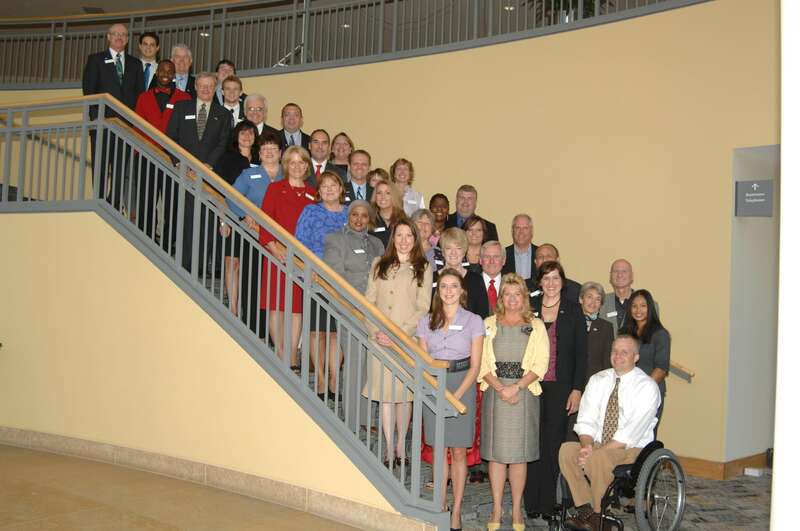 In preparation for their important role, Loaned Executives undergo two weeks of intensive training with United Way. Afterwards their task is to visit local businesses, communities, organized labor groups, and employees in the public sector to motivate residents to participate in the United Way campaign. Loaned Executives will make nearly 1,000 presentations to emphasize the importance of individual contributions in achieving meaningful progress on our community’s goals. Such progress can be seen in our housing stabilization strategy which is twice as successful as the traditional shelter system, yet costs half as much. Their effort to generate resources and increase community participation enables United Way to take care of what matters year-round. Karen Kallerud, J.H. Findorff & Son Inc.
Molly Kelly, Oakbrook Corporation, Park Bank and The Burish Group of UBS Financial Services Inc.
Gary Reed, Sub-Zero Wolf, Inc.
Susan Sheldon, Meriter Health Services, Inc.
Toya Whitaker Johnson, ACS, Inc and Affiliated Engineers, Inc.
For more information about the Loaned Executive program or how to participate in the 2012 Campaign, contact United Way of Dane County at (608) 246-4350 or visit www.unitedwaydanecounty.org.